Hi there, my darlings! Bright and early this gorgeous, almost-summer morning in NYC, I'd like to show you the featured Lynnderella polish of the week--C & M is a beautiful limited edition addition, which can be procured through an Ebay auction. 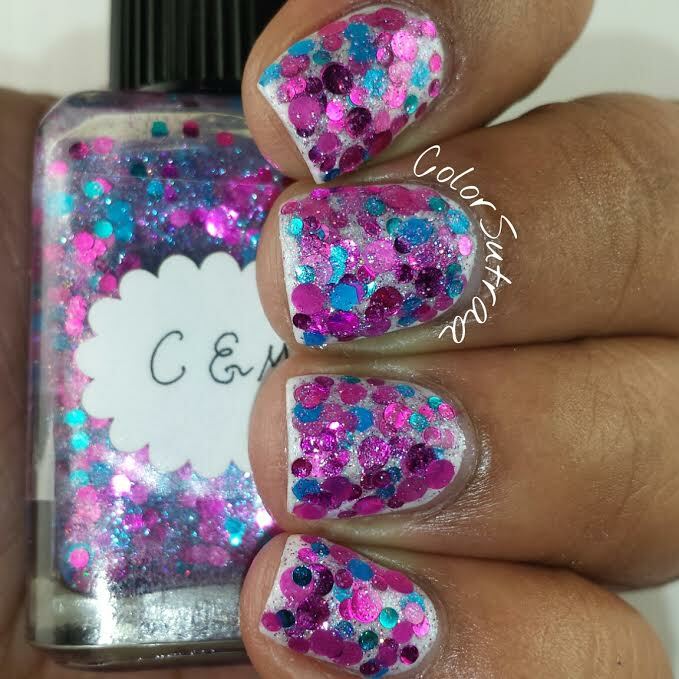 C & M is described as being "all about cyan and magenta with the magenta being slightly dominant.... Clear pink- and aqua-shimmered base." 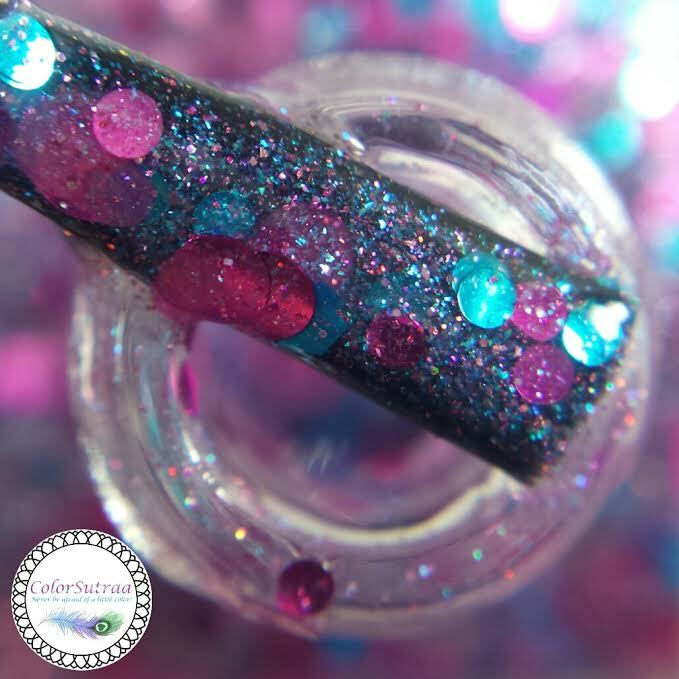 Fantastic formula and application--despite being a true glitterbomb suspended in a clear base, I didn't have to spend any time fishing for glitters! On the contrary, bunches of my favorite kind of glitter, the circles, all but jumped out of the bottle. 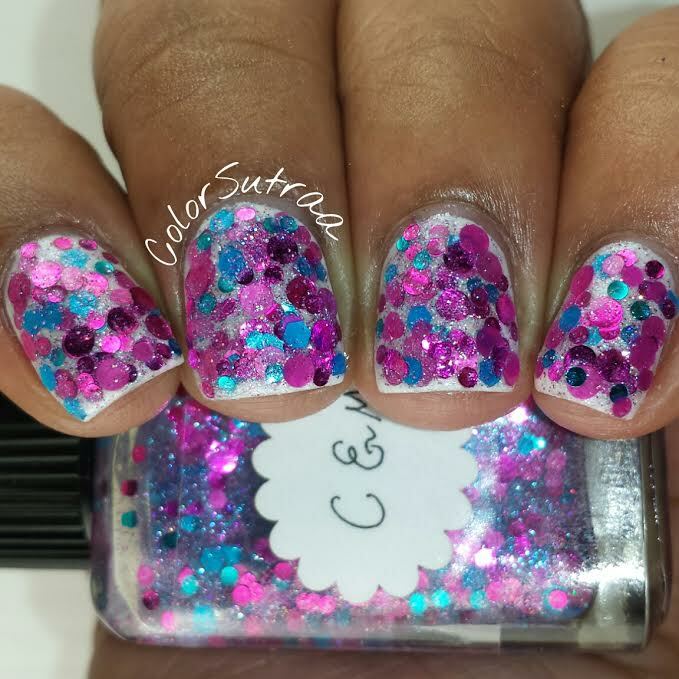 The swatches below show 2 thin coats dabbed on over 2 coats of Zoya Nail Polish Genesis, topped with 2 thin coats of G&G's HK Girl. 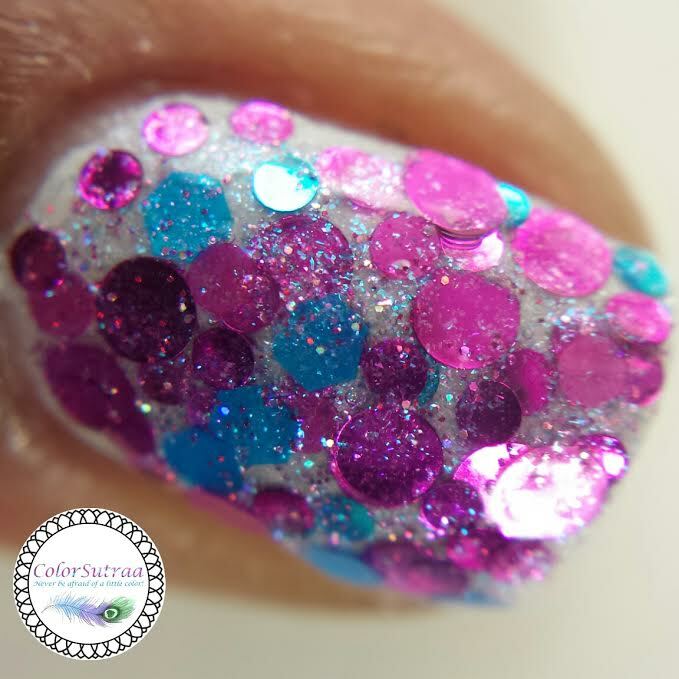 How fun and pretty is this look? !